First time AMA Co. Ltd has particirated at large international medical exhibition. 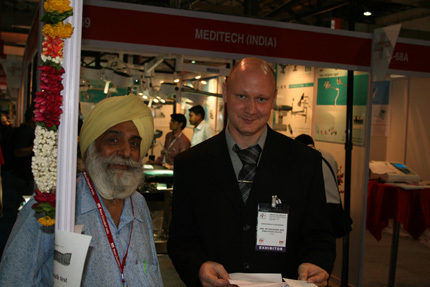 It was Medical Fair India, Mumbai on the 12th-14th of March, 2010. The decision to participate and choice of this event are connected with evaluation of serious perspective of dealing on huge and rising Indian medical market and with main organiser`s, Messe Düsseldorf, high reputation. 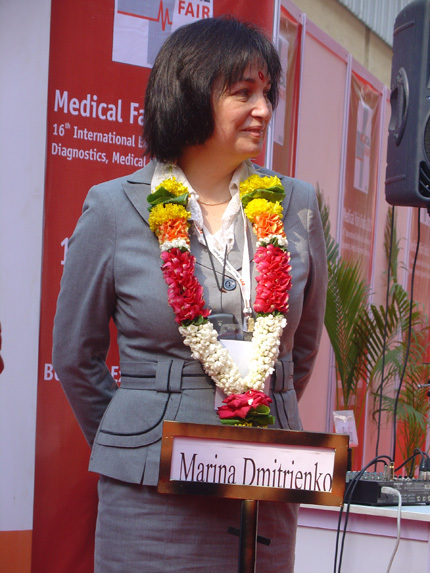 It have happend that AMA`s stand was the single russian exposition at this event and became the center of attraction for visitors from different parts of India and other Asian countries. AMA`s delegation had three days intense exhibition work with sum of new knowlege, bright discoveries and incredible impressions, conducting new information about Helicobacter pylori diagnostic products and methods for very sympathetic and active auditory. We will develop accepted contacts and will reach conformity to high level of Indian Healthcare tasks.